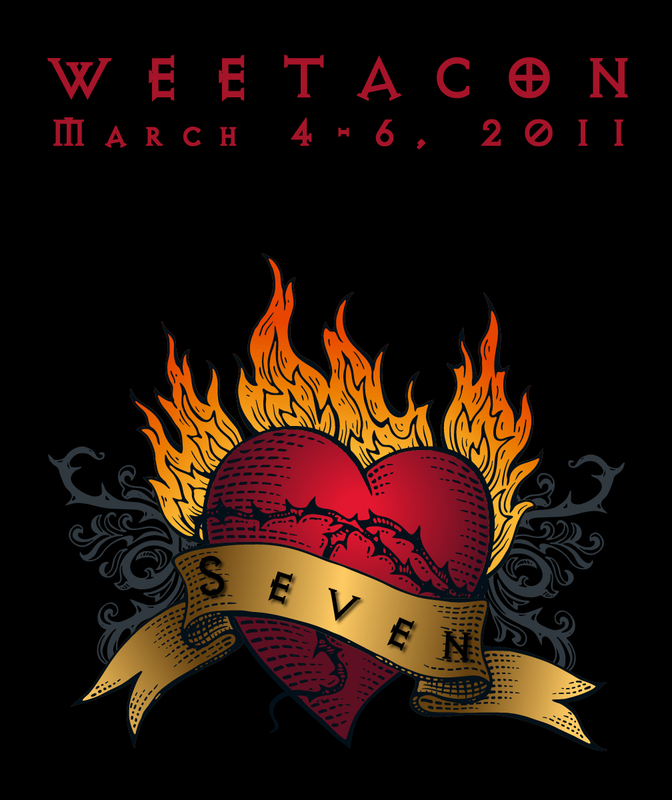 Weetacon » Weetacon 2012: Infinity! 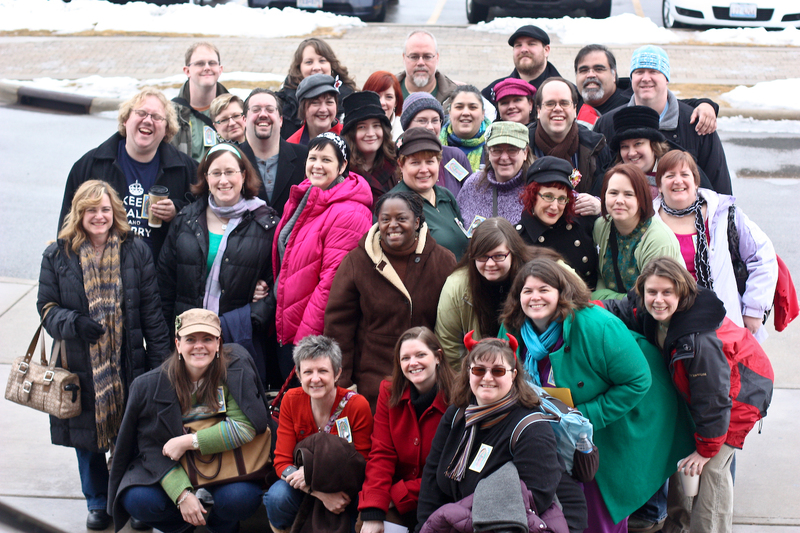 It was the warmest Weetacon yet….even the Californians were wearing short sleeves and sandals! We took over Caffe Mario for the early bird dinner on Thursday and for the first time almost all the attendees were there. We found another local business to support and brought in DIY Studio & Gifts to help us make perfumes. And then we all smelled good! Wendy Bix helped us all contemplate the concept of infinity and what kind of things we want to get done before we leave this plane of existence. And then we all got personal life coaches! The group all went roller skating despite the shenanigans of a severely confused bus driver and the Rollarena’s owner not showing up. Turns out if your name is Shawn you are destined to be a great skater; we were just glad none of us got injured! June discovered that bus drivers are really good at eating bratwurst. Cashew crack and Samoa cupcakes were the big hits of the bake sale, and we even had some non-attendee locals dropping off treats for us to sell this year. Wendy Bix found out (after driving all the way there) that Van Abel’s isn’t open on Saturday . So we decided to have Sunday lunch there instead. The manliest quilt in all of creation was the hit of the Weetacon Raffle. For the first time, Weetacon held its own private Bad Bar Party Night at Fox Harbor, with an 80’s night theme. Everyone broke out their Hypercolor, their Aquanet and their blue eyeshadow in honor of it. We also learned not to bother playing TV Theme Song trivia if Trish is around because she will always win. The Photobooth of Awesomeness made its first appearance. The results were unexpectedly hilarious.